When someone mentions social media marketing, the first things that pop into mind typically revolve around Facebook and Twitter. Occasionally Instagram or LinkedIn might be thrown in there, too. But one platform which often goes unnoticed—yet has incredible marketing power—is YouTube. According to Hootsuite, 1.9 billion logged-in users visit YouTube every month. YouTube is also the second most-visited website in existence, with people spending an average of eight minutes and 41 seconds each day on the platform. Needless to say, YouTube is a staple of the Internet. This means if your business wants to have a strong marketing strategy, it should include YouTube. 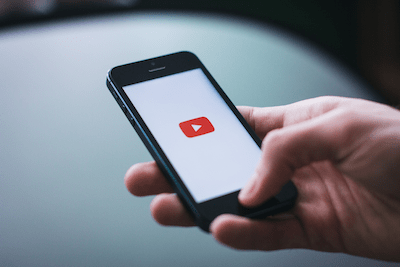 Here are five tips for using YouTube to market your business. This might go without saying, but we’re going to say it anyway: If you want YouTube success, then you should film quality videos. Fortunately, these videos don’t have to be expensive to appear professional, or gain viewers. A few things to keep in mind as you film include: (1) good lighting, so everything can be seen clearly; (2) clear sound using a microphone. (3) Keep your videos at about three to four minutes long, and (4) consider using basic editing software to remove mistakes or switch between shots. 2. Include calls to action. Before you even post the video, consider how you want viewers to respond to the post. What do you want this video to do for the business? If possible, include calls to action within the description as well as the video itself. Potential CTAs include contacting you for more information, subscribing to the channel, leaving feedback or sharing the video on other social networks. If the video is specific to a product or service, you could even share information about how viewers can buy. Be direct, intentional and clear with your CTAs, so viewers know exactly what their next step is. Remember: YouTube is more than just a video platform. It’s a social networking site. Take time to network with your audience members. As people watch your videos, they will rate the quality and leave comments about positive or negative experiences. To keep the momentum going, monitor and respond to feedback as quickly as possible. Whether comments are good or bad, you can still gain a customer with how well you respond. If possible, personalize the response to each viewer; an automated reply can have worse consequences than no reply at all. YouTube offers the perfect opportunity to demonstrate your brand on a more personal note. Videos connect with audience members in ways that images and text cannot, so use your channel to reinforce the company’s personality. In addition to the videos themselves, your channel can showcase the brand through your logo, color palette and voice on the page. YouTube even allows users to customize their channel with colors, images, links, relevant information and more. Consider ways you can personalize your video content and YouTube channel to fit the brand you want. Of course, one of the best parts of YouTube is its flexibility to share with other networks. Chances are not very many people will search for your business specifically when browsing YouTube. Instead, when you post a new video, use the content to send to other marketing media. Write a blog post, tweet a link to the video or post it on Facebook. You can even embed videos on your website, particularly tutorials or product demos to showcase the brand. Use whatever means necessary to share the word and get people connected to your channel. YouTube might not be the first social media network that pops into your head, but it still deserves a place in your marketing strategy. Consider these tips as you incorporate YouTube into your marketing efforts, and see how your business can grow because of it.